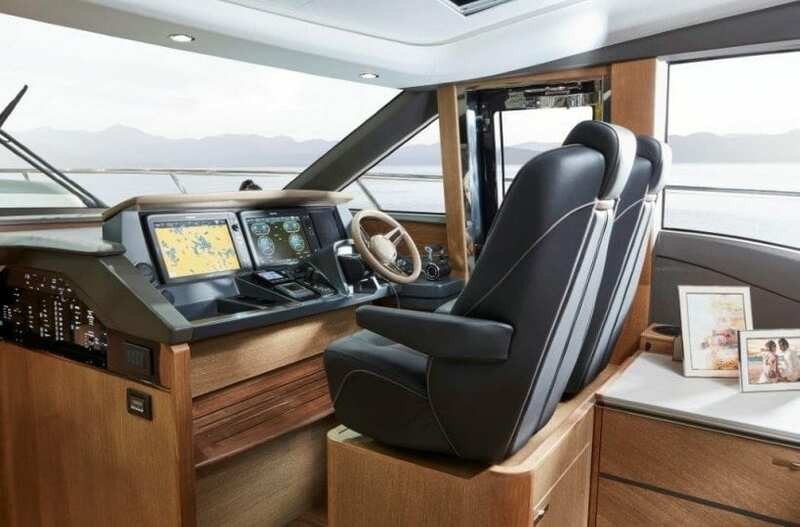 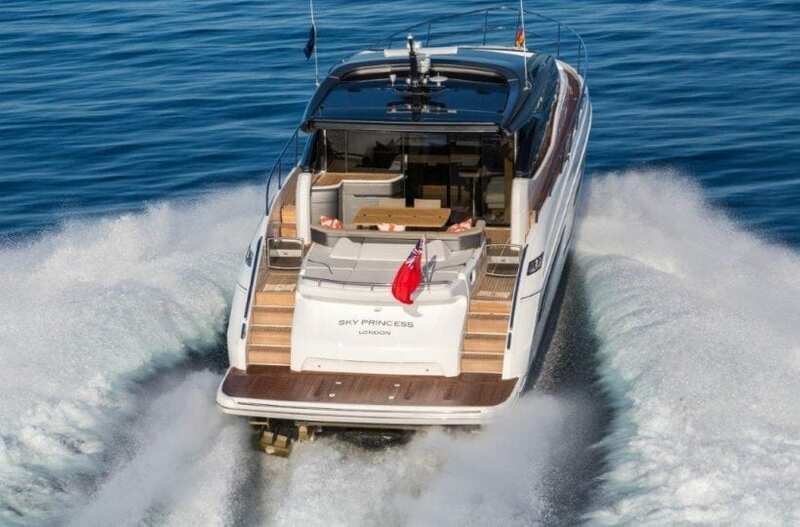 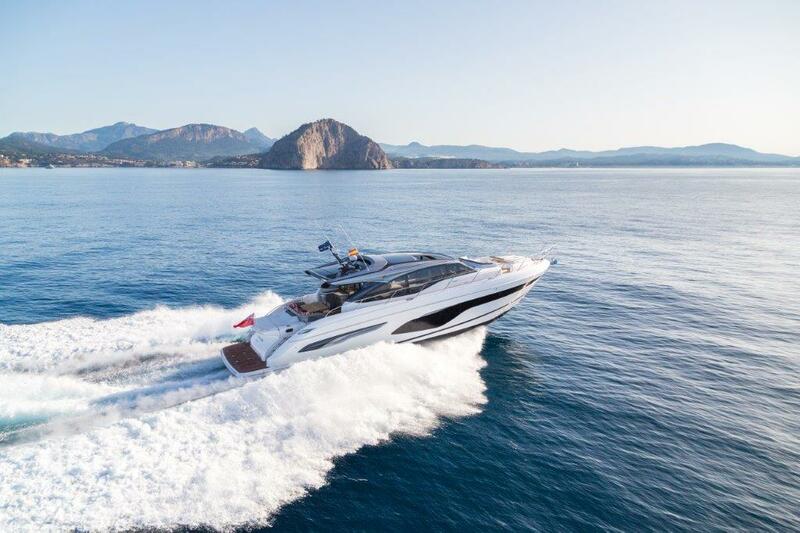 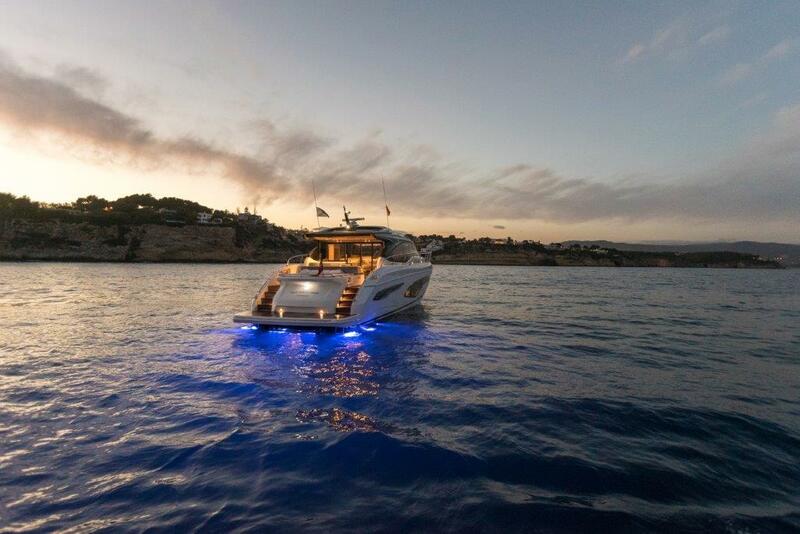 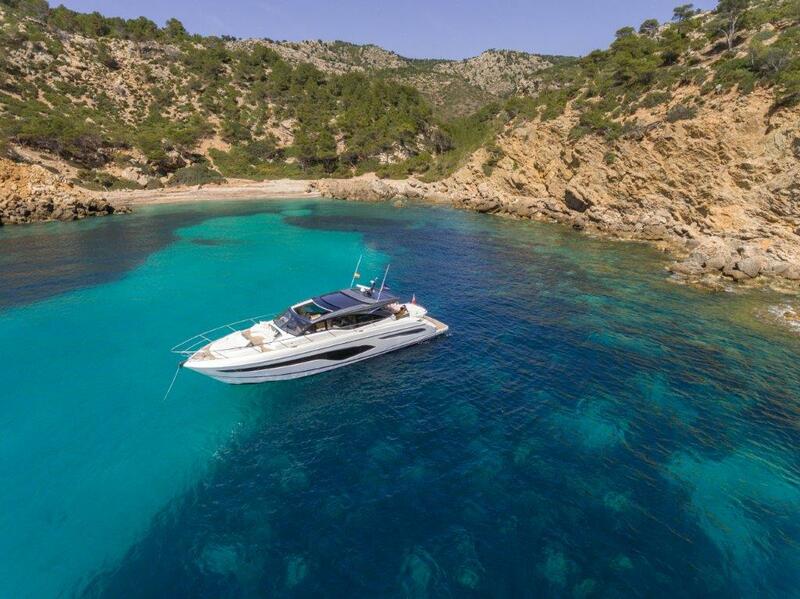 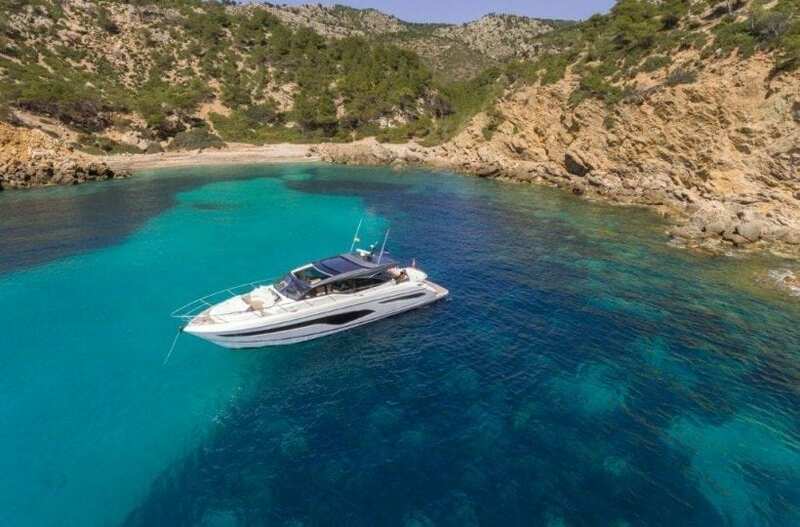 Powerful and progressive, the all-new V65 sets a new standard of the Princess V Class range. Whether you’re slicing through the seas at 38 knots† or navigating stormy waters – a foundation of superior engineering rides with you. 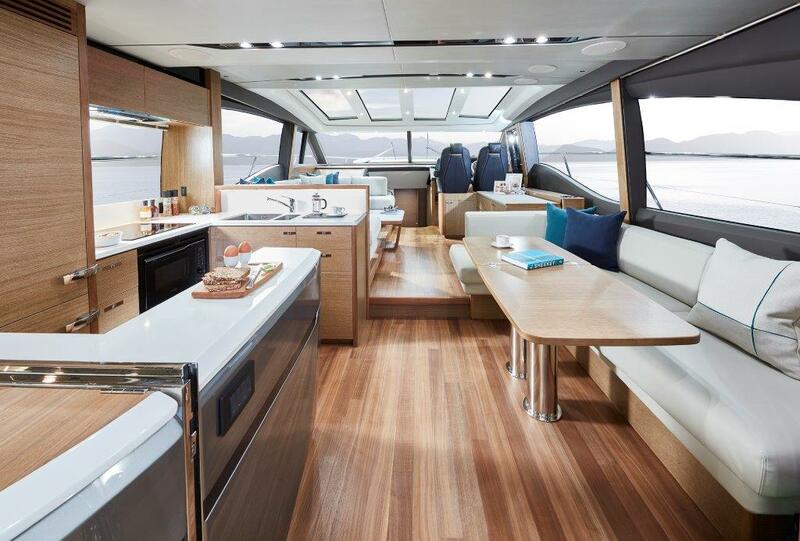 Careful attention has been paid to the spaciously designed cockpit and fully equipped dining area, allowing you to enjoy time with family and friends. 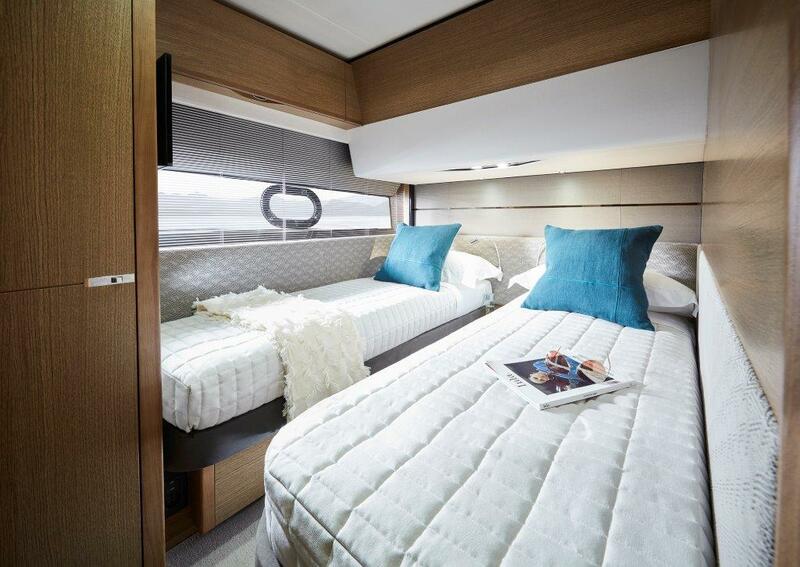 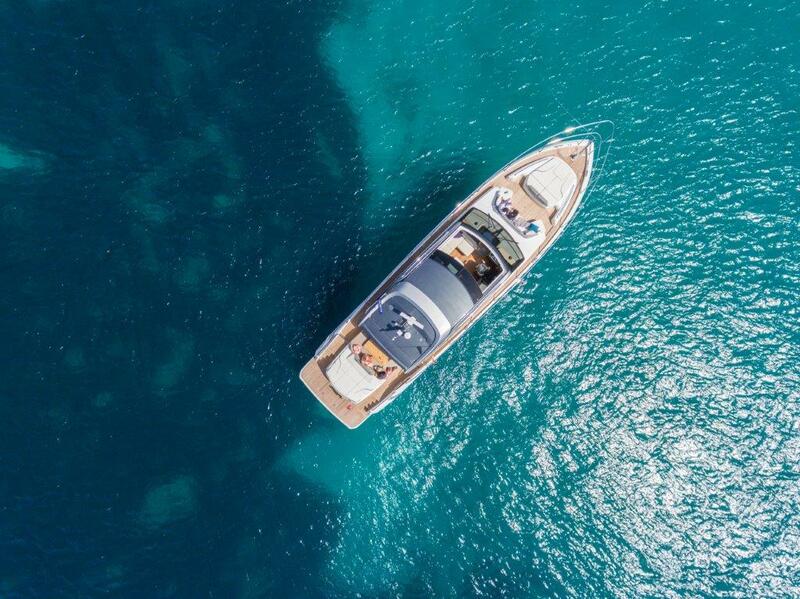 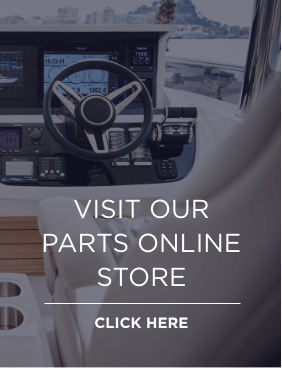 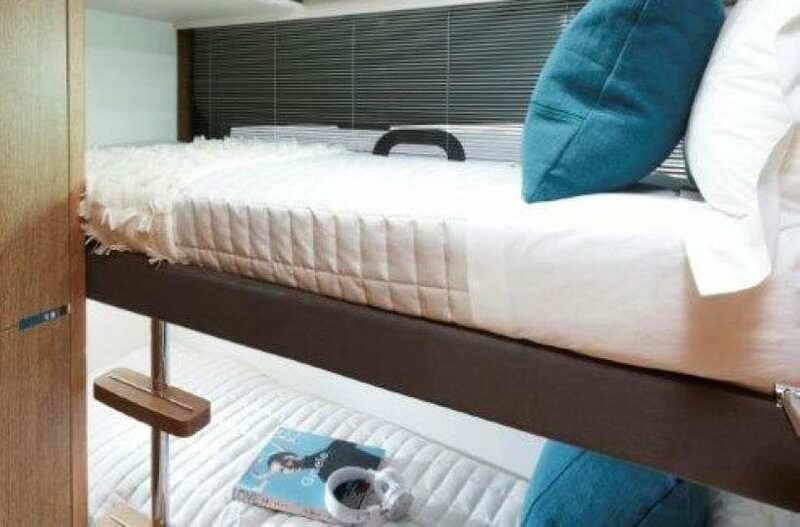 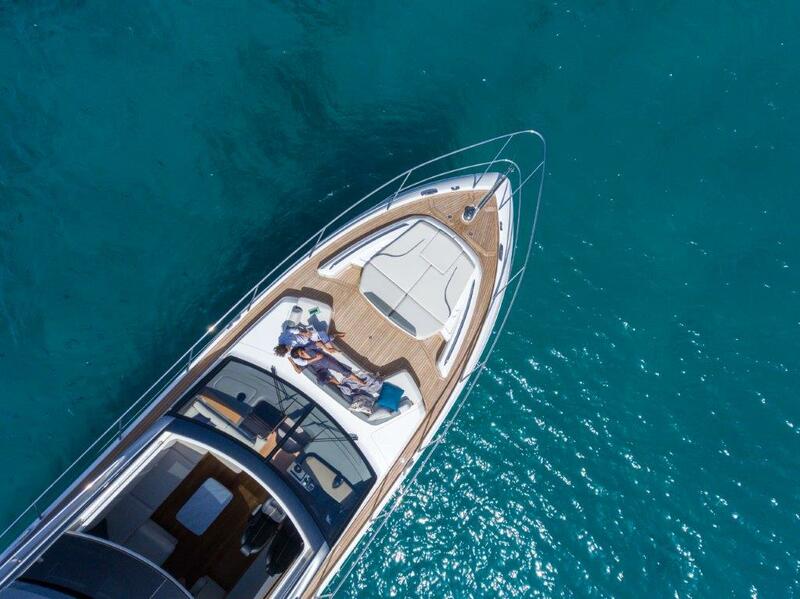 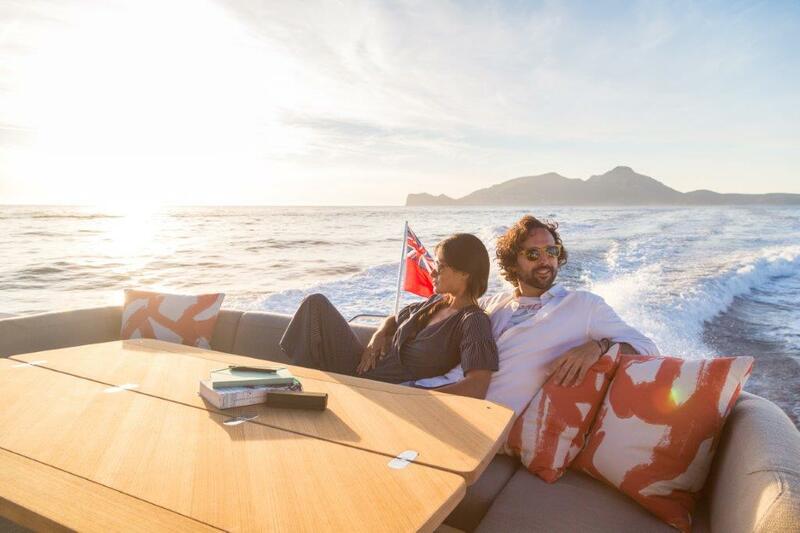 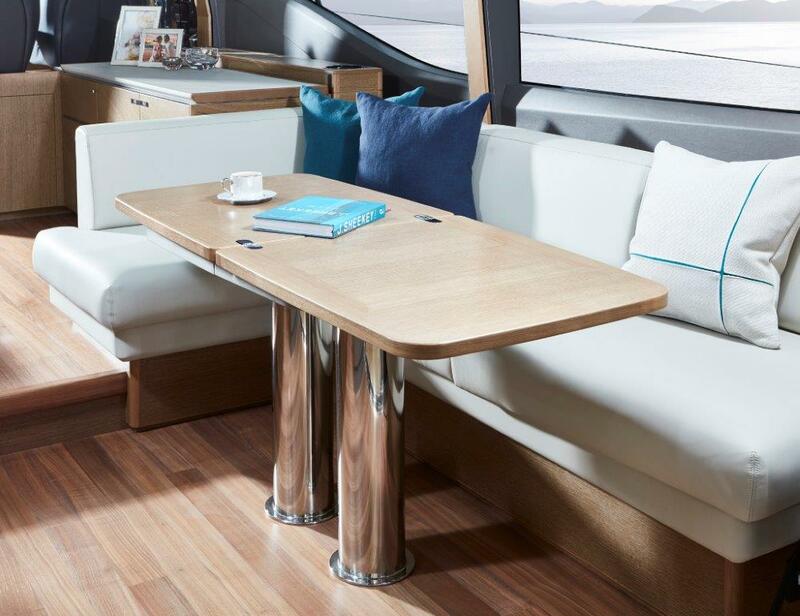 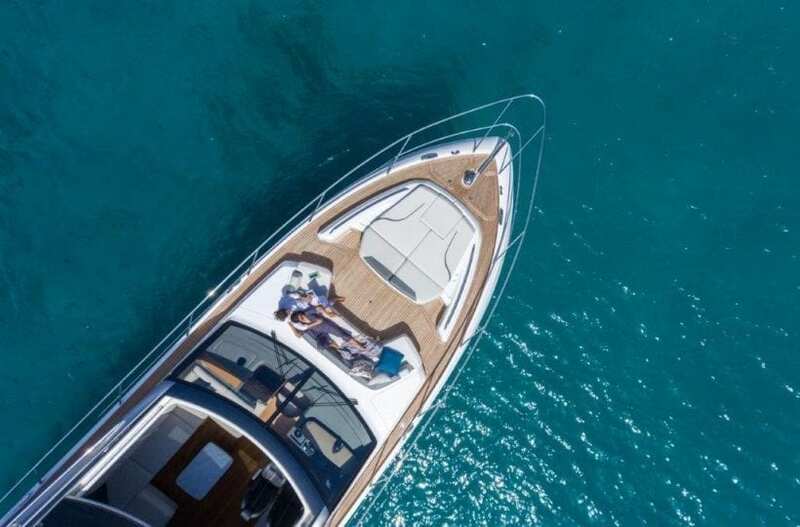 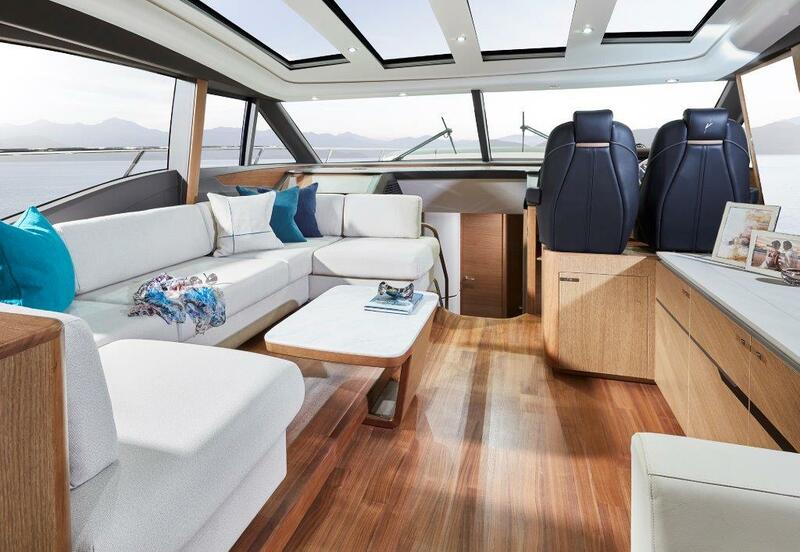 Offering aft and foredeck sunpads, you won’t be short on sunbathing space for those warmer days. 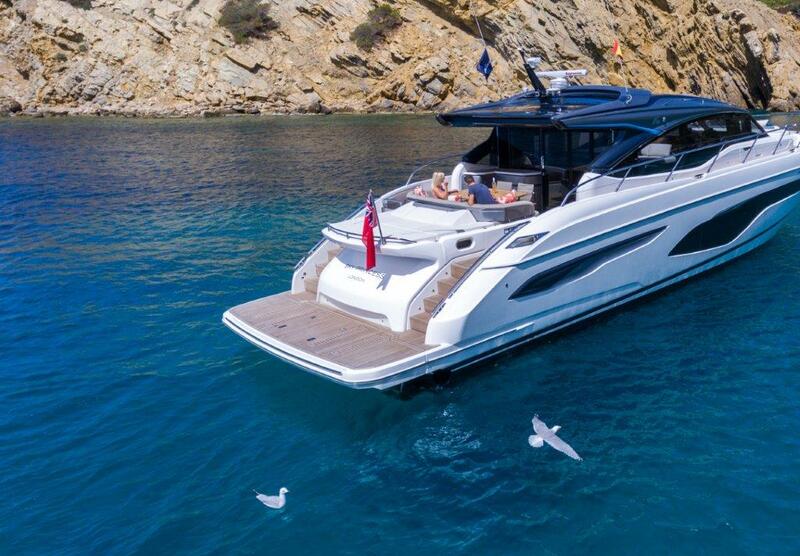 Climate control, sliding doors and a retractable sunroof, provides you the flexibility to utilise the V65 in all weathers and on all occasions. 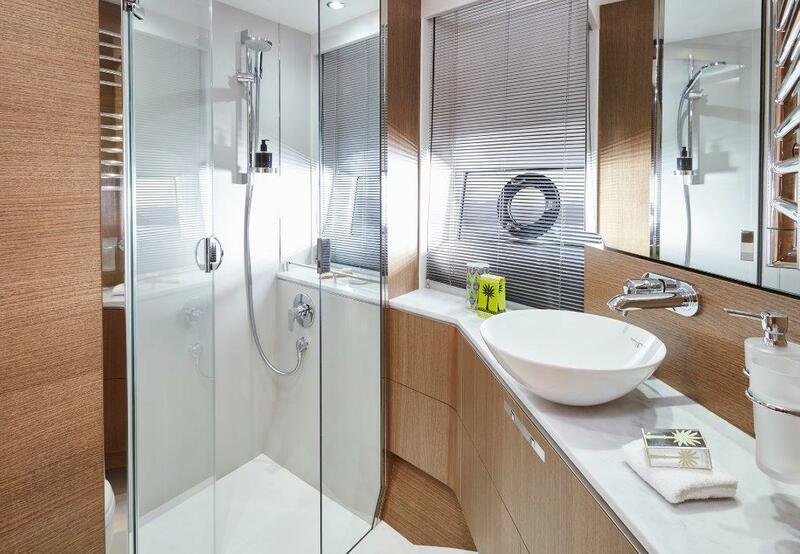 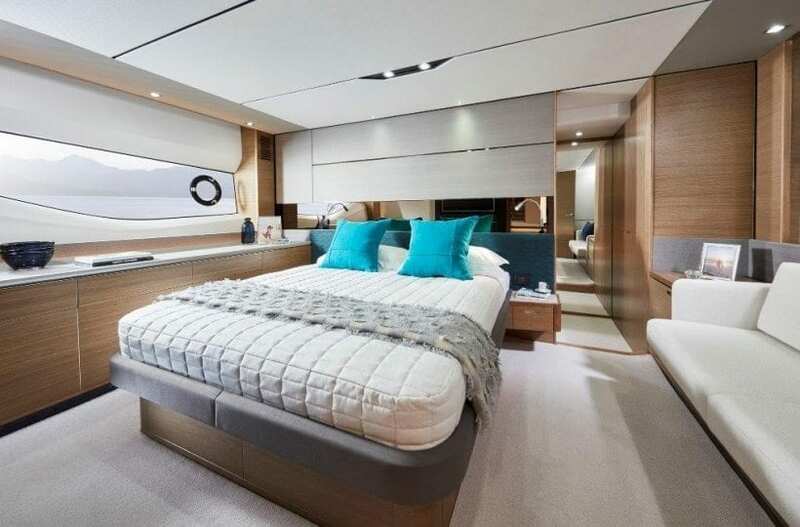 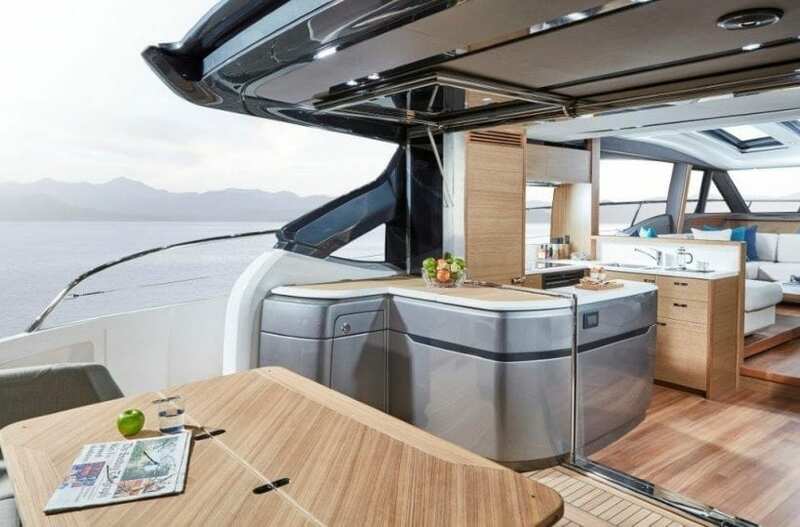 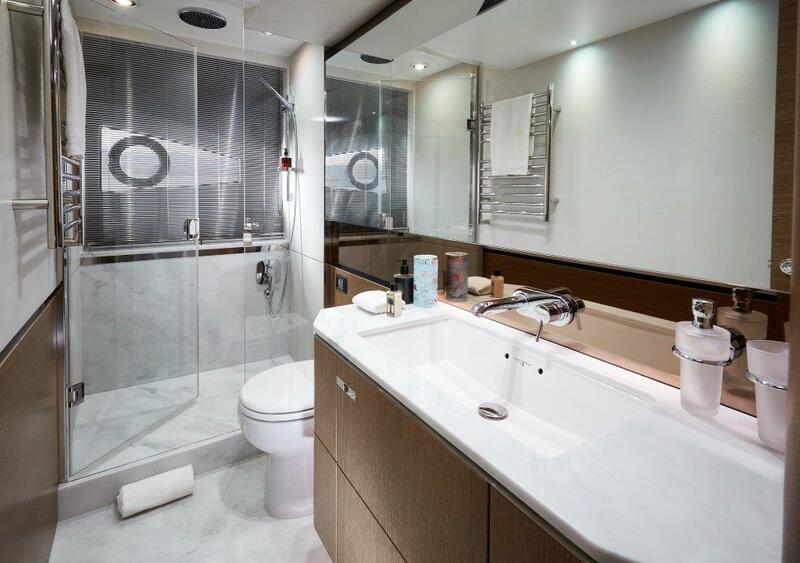 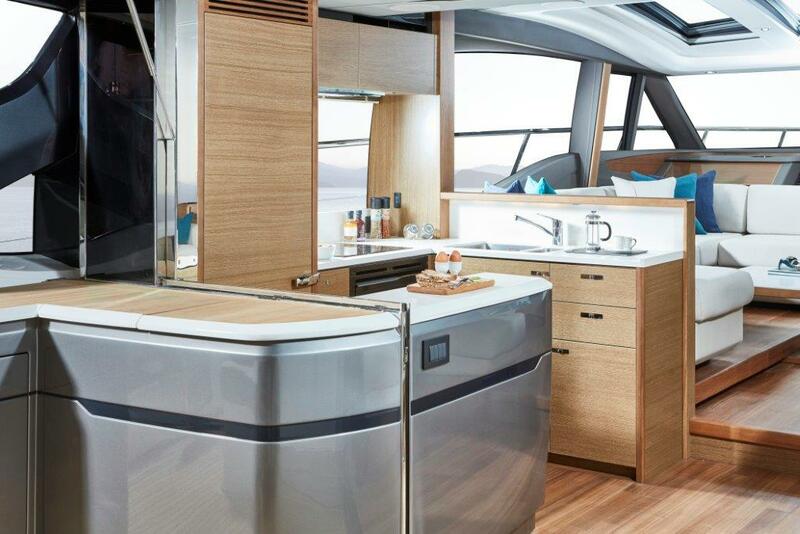 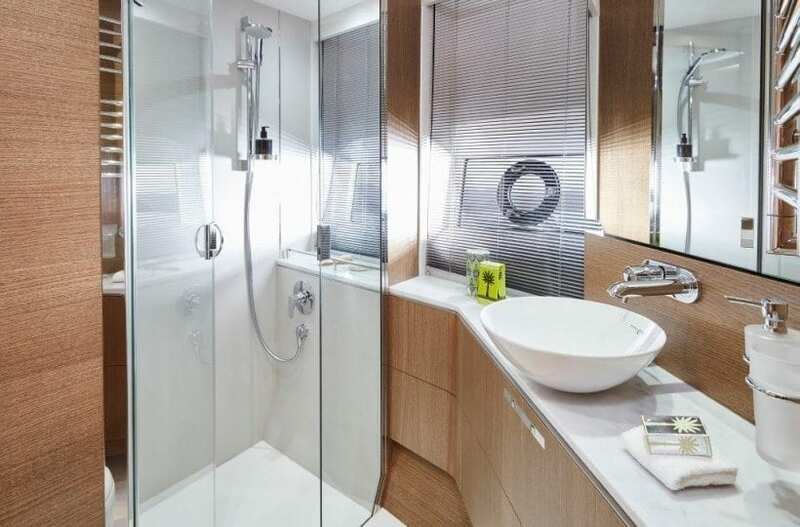 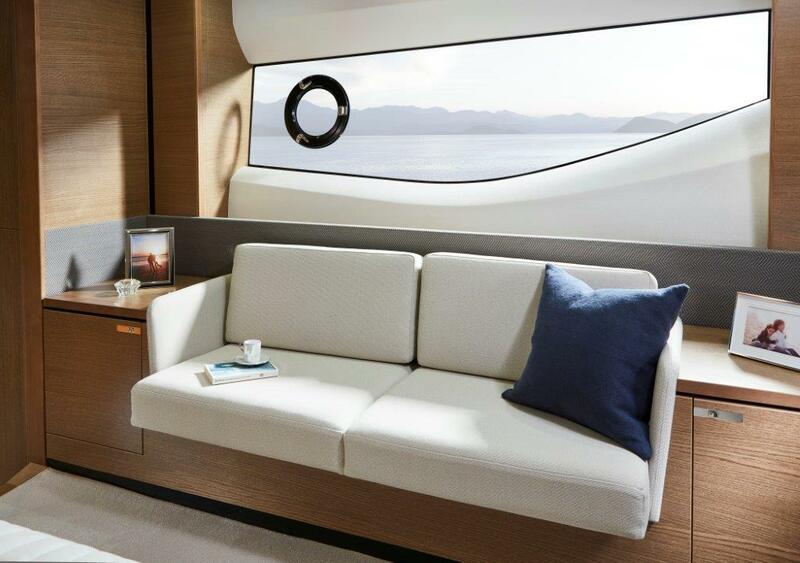 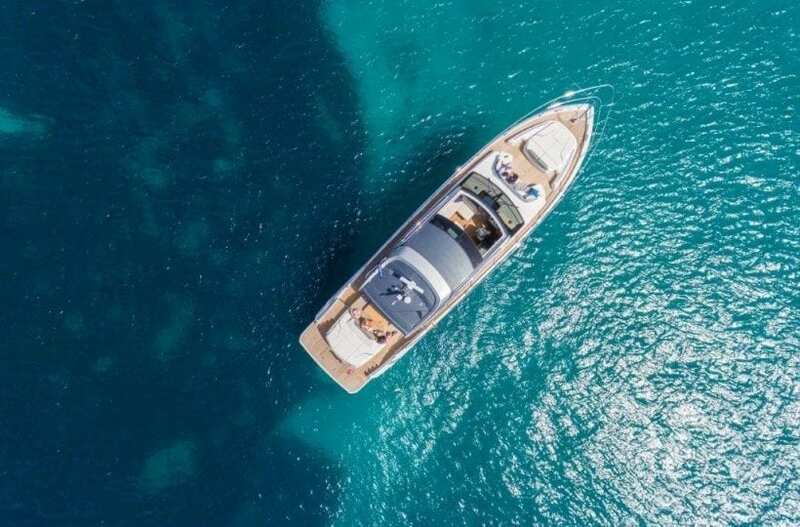 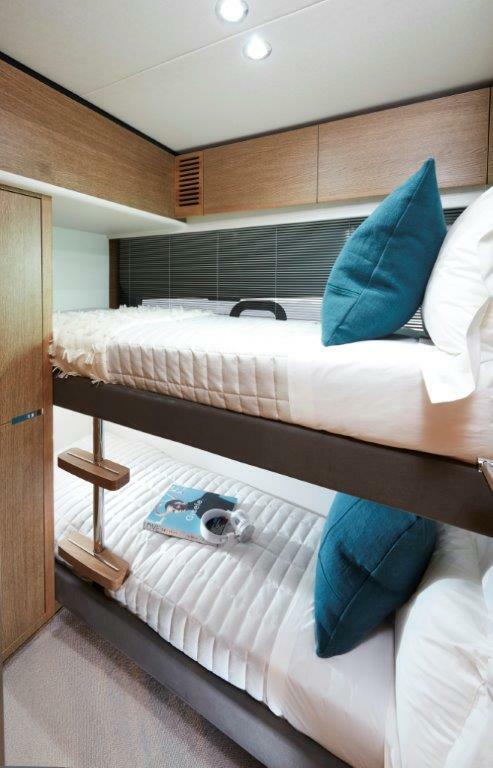 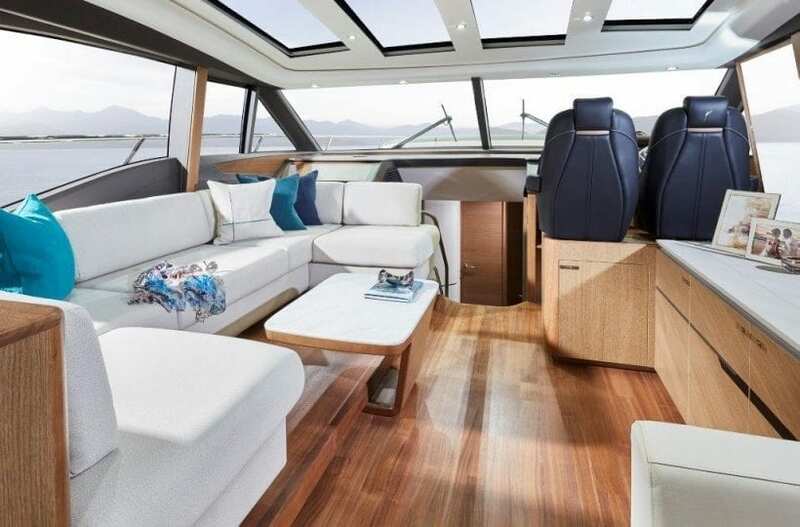 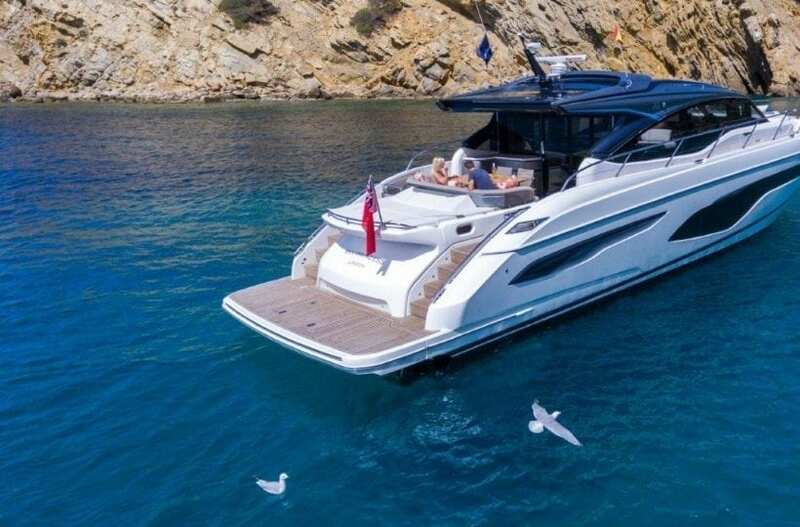 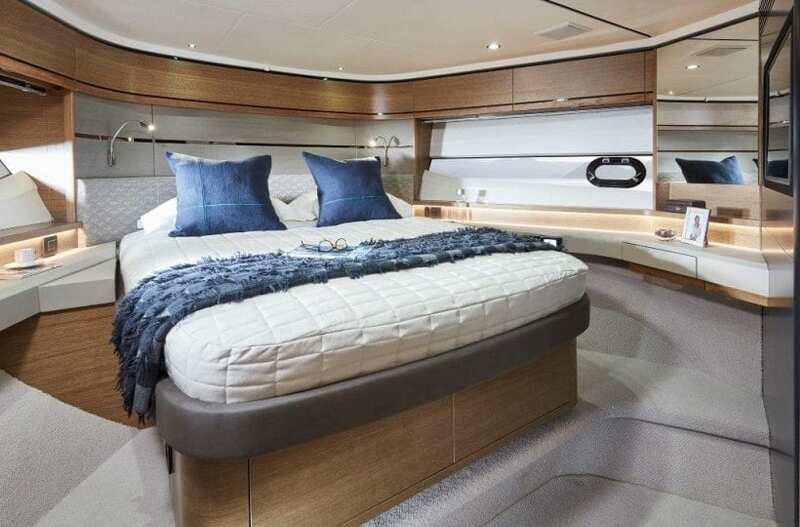 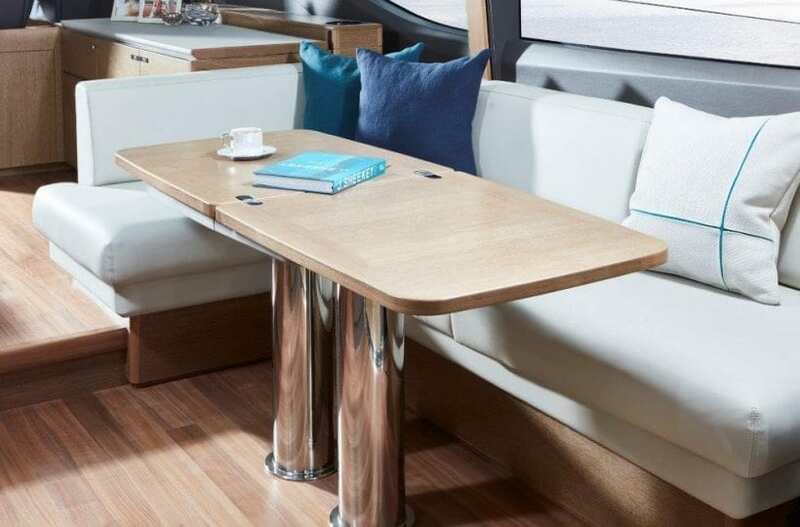 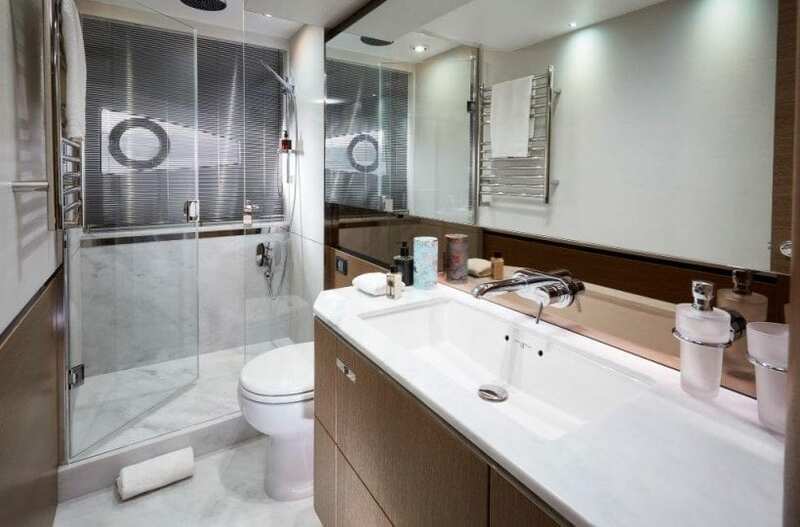 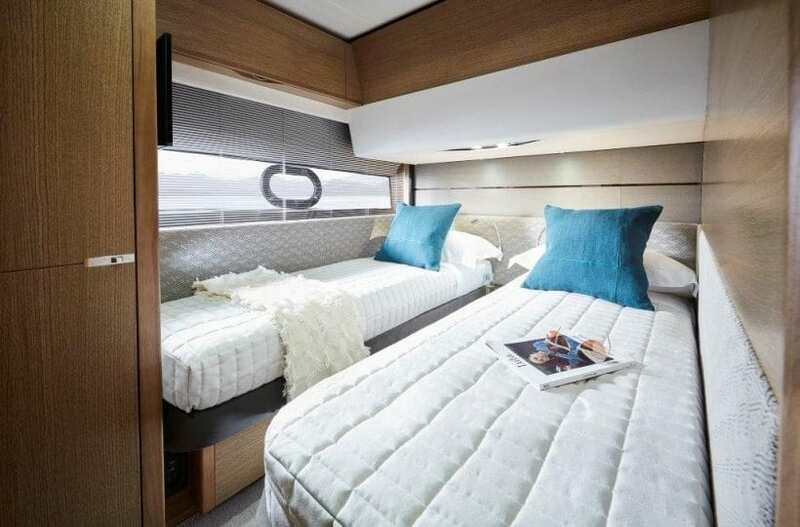 Below decks, the Princess V65 is able to comfortably accommodate eight overnight guests, in four beautifully appointed cabins which feature panoramic windows in the Master and Forward cabins, courtesy of the elegant hull glazing.